190469471 -The end of the Cold War led to a dramatic and fundamental change in the foreign policy of the United States. 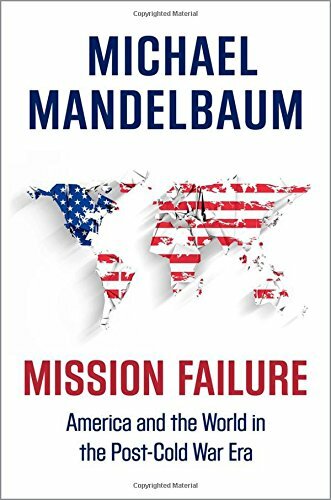 In Mission Failure, Michael Mandelbaum, one of America’s leading foreign-policy thinkers, provides an original, provocative, and definitive account of the ambitious but deeply flawed post-Cold War efforts to promote American values and American institutions throughout the world. In the decades before the Cold War ended the United States, like virtually every other country throughout history, used its military power to defend against threats to important American international interests or to the American homeland itself. When the Cold War concluded, however, it embarked on military interventions in places where American interests were not at stake. Somalia, Haiti, Bosnia and Kosovo had no strategic or economic importance for the United States, which intervened in all of them for purely humanitarian reasons. Each such intervention led to efforts to transform the local political and economic systems. The invasions of Afghanistan and Iraq, launched in response to the terrorist attacks of September 11, 2001, turned into similar missions of transformation. None of them achieved its aims. Mission Failure describes and explains how such missions came to be central to America’s post-Cold War foreign policy, even in relations with China and Russia in the early 1990s and in American diplomacy in the Middle East, and how they all failed. Mandelbaum shows how American efforts to bring peace, national unity, democracy, and free-market economies to poor, disorderly countries ran afoul of ethnic and sectarian loyalties and hatreds and foundered as well on the absence of the historical experiences and political habits, skills, and values that Western institutions require.